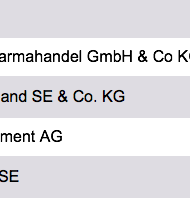 Home / Top 300 Companies from Rhine/Neckar Region – Mannheim, Heidelberg, Ludwigshafen etc. 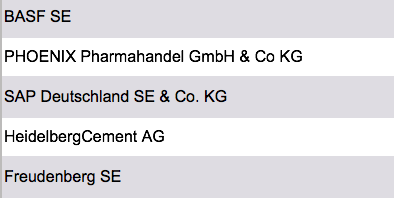 Top 300 Companies from Rhine/Neckar Region – Mannheim, Heidelberg, Ludwigshafen etc. Many global players from Germany are not located in larger cities like Berlin, Hamburg or Munich. Their headquarters can rather be found in smaller cities that form so called metropolitan regions. One of the most significant regions of this kind is the Rhine Neckar region in Baden-Württemberg. Huge corporates like BASF, SAP, Heidelberg Cement or Bilfinger are located here and attract a number of smaller but nonetheless relevant firms. If you plan to do business in Germany, hidden champions from rarely known towns are crucial for you in order to be successfull. However, identifying important regions and the most relevant players within the regions may be a tough task. This is why ResearchGermany is the right contact for you. We have conducted thorough market research in Germany in order to compile the most important companies from different industries in suitable lists. Y0u may use our overviews to get a first impression of the market, to generate leads or to observe your competitors. Note: Some data points may be missing due to bad data availability. In case of any questions, feel free to get in touch with us.